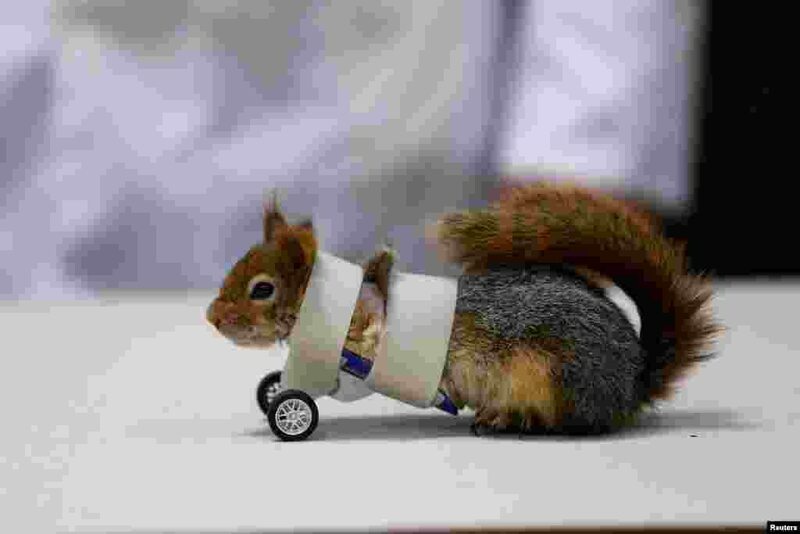 5 A squirrel sits on the floor after its limb amputation surgery at Aydin University in Istanbul, Turkey, April 3, 2018. 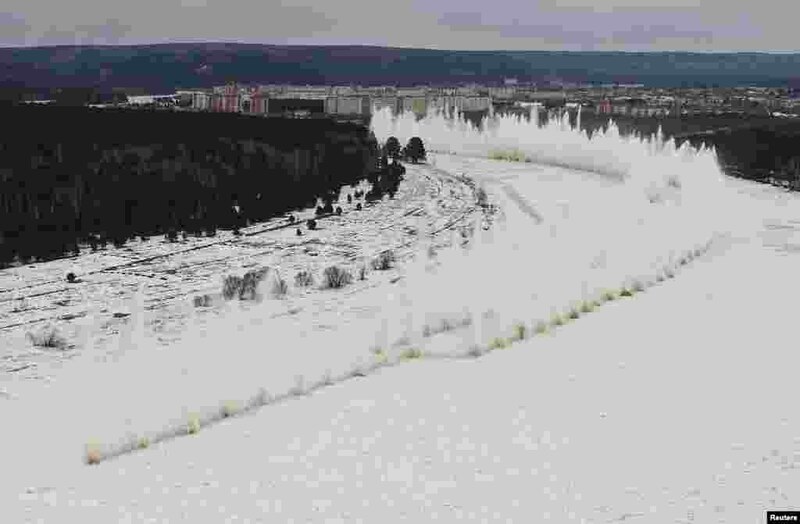 6 A blast rips through the ice covering the Kan river to reduce the risk of floods, near the Siberian town of Zelenogorsk, east of Krasnoyarsk, Russia, April 3, 2018. 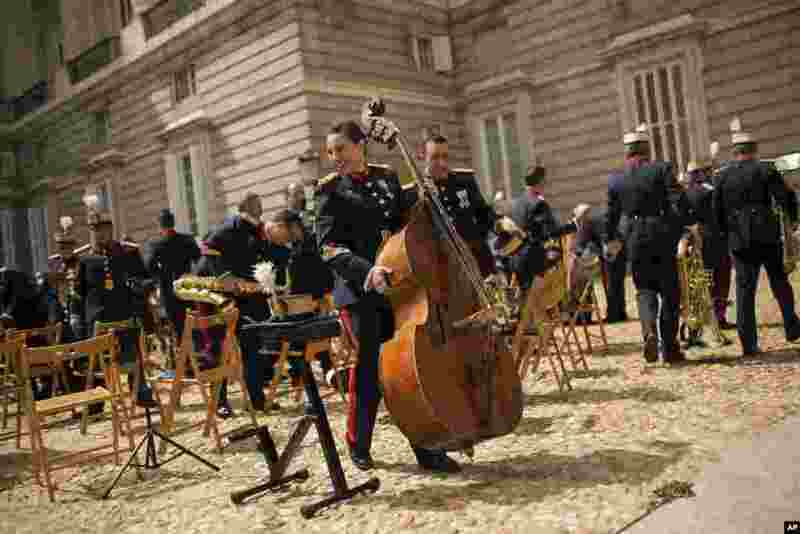 7 A member of the Royal Guard music band holds a double bass after playing outside the Royal Palace in Madrid, Spain. 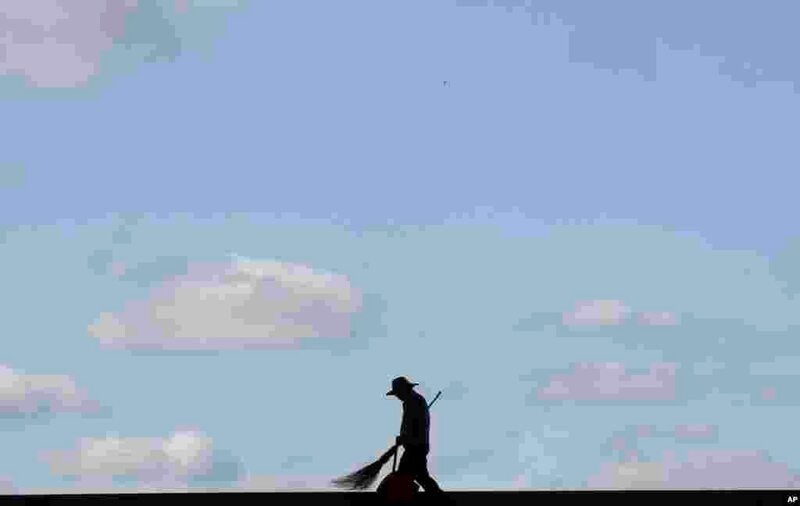 8 A worker cleans stairs while he is silhouetted at the National Museum of Korea in Seoul, South Korea.